This entry was posted on July 7, 2015 by admin. 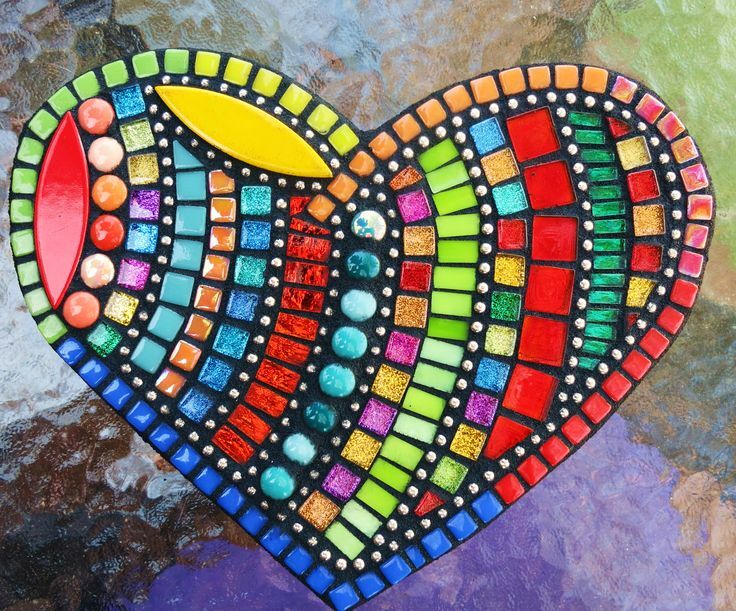 Making mosaic art is simple and fun. The easiest method is the direct method. Below we give some pointers on how to start your first project for an indoor mosaic in a dry area. We highly recommend that you attend a workshop, course or demonstration to get the most out of your mosaic experience but in the event that it is not possible this guide below may be of general help. 1. Design for project: Where to start? Take a look around you or on the Internet for a motif or color composition that appeals to you. Do you have a favorite thing? Butterflies, people, mandalas or rainbows. Or a favorite artist? Monet, Picasso or Gaudi. Look for inspiration in things that already appeal to you and think of how you can interpret this 'look' into a mosaic. Perhaps it will make a great mirror, dish, vase or mural or mosaic backsplash. Try to print, draw or copy the design out into a realistic size for the base you will use. Excel is a great tool for this! 2. Simplify the design into easy to create parts and make a "cartoon" (this is a basic outline) on the surface you will mosaic. You can even color it in using magic markers or water-based paints to create an easy to follow guide. 3. Now comes the exciting part...choosing the mosaic tiles or tesserae as they are known in the mosaic world. There are literally thousands to choose from so the first step is to eliminate the mosaic tiles that are unsuitable for your project. Is your design small and precise? Choose small tiles that are easy to cut. Do you prefer irregular pieces rather than squares? Choose tiles that are flat on both sides so that they will not wiggle or tilt. Do you want texture? Then mix the thicknesses and finishes of the mosaic tiles. Do you want a classic or modern look? Try to think about your project in detail before your first purchase and you will have much less waste but of course it is also possible that your taste and preferences will evolve organically through the mosaic process. 5) Next comes a less fun step...grouting. Grouting is a matter of personal choice...it does strengthen the mosaic but it can also dull or detract from the pattern that you have created in mosaic tile. First wait for a minimum of 12 hours before you grout unless you are using an 'instant' glue. Think carefully about the color of your grout. We have a rule of thumb that we use to help our clients choose. If you are using dark or bright colors choose a darker grout such as chocolate brown, anthracite or black. If you are using pastel or light colors normally white, cream or silver grout is more appropriate. Of course you can also choose to use a statement color for grouting but test a small area first! We recommend un-sanded grout as this prevents scratching of your mosaic tile and also fills smaller grout spaces better. Mapei is our first choice but Laticrete and Eurocol are both excellent products. Follow the manufacturers instructions always as they know the specific properties of their products. If you are attempting a very large project consider working on mesh first, cutting the larger mosaic into several interlocking pieces and then installing these on your prepared surface. Try to cut the pieces small enough to be maneuvered easily roughly 12inches square. Here are the steps for working on mesh. 1) Prepare a large horizontal surface that can accommodate your entire design. It must be level and free of debris. 2) Place your cartoon onto the surface and secure using clear packing tape around the edges so that it does not move. 3) Place a sheet of transparent plastic over your design cartoon. Secure with clear packing tape around the edges. 4) Place the mesh on your design and align so that the complete design is directly below and visible. Secure the mesh with push pins, tape or spring clips. 5) Glue your mosaic tile tesserae to the mesh using hobby glue (do not use Weldbond as this dries too quickly making it very hard to remove a 'mistake'), We recommend our Mosaic Trader PVA which is specifically formulated to catalyze to permanence more slowly thereby allowing a longer window for adjustment. 8) Wait 24 hours before grouting and cleaning. 9) Remember to stand back and admire your mosaic art work. Please remember that making mosaics involves small, sharp pieces of mosaic tile and that safety glasses, long sleeved clothing and gloves should be worn to protect your eyes and skin from laceration. We in no way take responsibility for any damage or injury caused. This information is not a replacement for manufacturer's recommendations or standard safety practices.